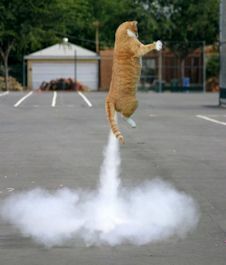 Make Your Trip a Blast! We've come up with a list of our favorite list things to do in Key West to help make your trip a blast and truly memorable. We try to maximize our fun without totally breaking the bank. 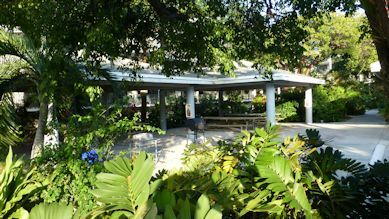 The following Key West attractions include the activities we try to fit into our schedule on every trip to Key West. You may not be able to fit all the attractions into your schedule depending on the length of your stay, but if you can, we can guarantee you will have a fun and memorable vacation. The first thing you will want to consider is renting bikes for your trip. We have used bikes on every single trip we've ever taken to Key West. The whole island of Key West is only four miles long so you can get everywhere on bike. We use the bikes even though we usually have a rental car, due to the lack of parking downtown. More importantly, it's really enjoyable to get around Key West on bikes. Our whole family really enjoys cruising around a tropical island on a bike. Of course coming from Northern Minnesota means it doesn't take a whole lot to entertain us in January. Most of the bike rental companies will offer free delivery right to our condo. We usually shop around before our trip to see who has the best deal going. If you have a car there's still enough room at the front of our parking stall to park the bikes. Bikes are hands down the way to go. We highly recommend a boat rental for one of your days. It's not the cheapest activity on our list but it's by far our favorite thing to do while in Key West. The best place to rent a boat that we found for a combination of location and a good price is at the Hurricane Hole Marina. The outfitter is Sunset Watersports. They are located right next to the Lazy Dog kayak rentals, which is also located at the Hurricane Hole Marina. at the Hurricane Hole Marina. We've only done the all day rental. You can rent for a half day but for the cost difference I think the full day is the best way to go. The time will go quickly. We usually spend the day with a combination of fishing, cruising around the area and lots of snorkeling. The guys at the marina filled us in on where the closest rock piles and reefs were located, which made for some awesome snorkeling. We usually see plenty of fish and lobsters on each trip. A day spent out on the crystal clear waters of the gulf is now in first place on our list of favorite things to do. We have our own snorkeling gear but I you can also rent your gear for a nominal fee from the boat rental place if need be. Another activity we have done on every single trip to Key West has been to rent kayaks. The most convenient place to rent kayaks is right next door to the 1800 Atlantic resort, at Smathers Beach. The rental company at Smathers offer kayaks and a host of other water activities for a reasonable price. Our favorite place to rent from however is the Lazy Dog. 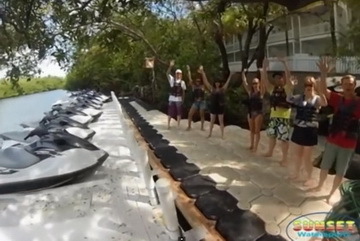 We prefer the Lazy Dog's kayak rentals due to it's location, which has plenty of mangroves nearby. The Lazy Dog's location is just before you go over the last bridge in to Key West, on the left. It's located in the Hurricane Hole Marina. If adventure is in your blood then be sure to ask the Lazy Dog folks about the canal loop. The canal bisects the center of Key West. The journey will take you out around the naval base to the canal's entrance. From there the canal goes to the center of the island and then makes a U turn that will take you back almost right where you started. Word of caution, if it's a really windy day you may want to think twice before taking on the loop. It's probably at least a two or three hour journey depending on you physical condition. If your partner paddles like my wife, then factor in another hour or two. Another adventure we’ve done that we really enjoy is a Key West reef snorkel trip. For just $40 you can take a 3 hour reef snorkel trip. The boat takes you out to the worlds third largest reef located seven miles offshore. 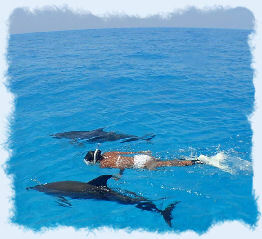 The snorkeling is phenomenal and it will help make your trip very memorable. You’ll see an unbelievable amount of fish and sea creatures. Our last three trips were with Sunset Watersports. They have the best boat with their new double decker boat. I would recommend sitting on the top deck for some great views. Snorkel the World's 3rd Largest Reef! Another fun activity we've found to do is to go out fishing for the day on one of the party fishing boats. Because you're sharing the cost of the trip with others it's very inexpensive compared to the private charters. The cost is only $65 and if you book on-line you can save an additional 10 percent. Our favorite Key West party boat fishing charter is with Gulfstream Fishing. They offer you six hours of fishing which includes the ride out and back. The other charter boats usually only offer a 4 hour trip for the same price. 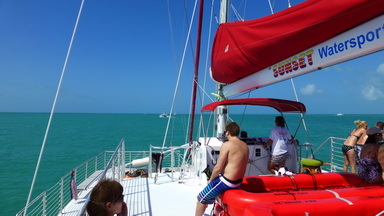 Another activity we squeeze in on most trips is Key West parasailing. I should say my kids do. There's no way in hell they'd get me up there. My kids have even offered to pay to get me up there, not happening. They offer parasailing right next to our resort at Smathers Beach, so it's too convenient to pass up. We've usually do their early morning special, which is only $29. You will have to go before 9:00 am to get the deal if you can get the kids out of bed by then. There's also rental activities available at Smathers like kayaks, paddle boards, sailboats, pedal boats, beach chairs, and more if parasailing isn't for you. 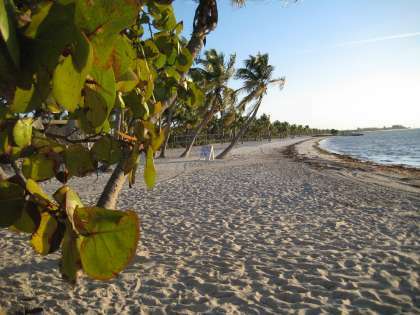 Key West Beaches - Which Beach is Right For You? If you plan on spending a day at the beach we have three recommendations for you. One of the best beaches in Key West is right next door to the 1800 Atlantic Resort, Smathers Beach. The beach connects to the resorts property boundary so it's only a two minute walk to get there. There's also plenty to do at Smathers Beach. 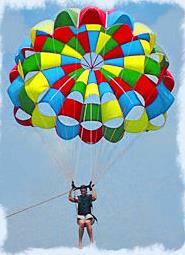 You can parasail, rent kayaks, paddle boards, sailboats, pedal boats etc. If you plan on snorkeling we highly recommend you go the other direction and visit Higgs beach, which is just a couple of blocks west of the 1800 Atlantic Resort. Higgs Beach has a nice pier to access the water and has a number of old pier supports in the water to attract lots of fish. 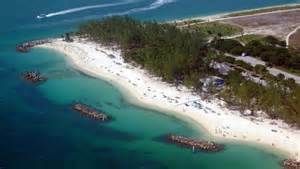 The other good snorkeling spot is at the Fort Zachary Taylor beach on the west end of the island. You can bike there but we recommend taking the car if that's an option, since you can carry a lot more gear. The Fort Zachary Taylor beach has a few man made water breaks that always hold lots of little sea creatures. The beach is also one of the best in Key West. To access the park you will have to pay a couple of bucks per person to get in. Be sure to check out our Key West beaches guide to view maps and info on all of the Key West beaches. On past trips we've also rented jet skis, which is a blast. We prefer the 25 mile island tour versus the hourly rentals, where you have to stay in a designated area. The check in starting point was at the Parrot Key Resort on N. Roosevelt Blvd. You have to do the tour at least once in your lifetime, it's a lot of fun. The past couple of trips we've swapped the jet ski's for what now has become our favorite thing to do, rent a boat for the day. If you book on-line you can save about $40. Two people can ride tandem for $99. Another must do on your trip is to check out Mallory Square just before evening. 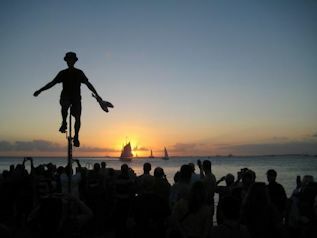 Mallory Square is where everyone congregates each evening to watch the famous Key West sunset. The big draw however is the number of street performers who pop out of the woodwork to perform for the crowds. Many of the acts offer world class performances. The best part is it's free. If you have a conscience though, you'll feel obliged to flip them a buck or two after the performance. If we're anywhere in the area we always stop by to check out the different acts. Key West Happy Hours! Featuring Half Priced Appetizers and Drinks. Many of the Key West bars/restaurants will offer fantastic happy hour specials. We have a couple of favorite places that we make sure we get to at least once or twice during our trip. Most of the restaurants will have their happy hour anywhere between 4:00 and 7:00 pm and offer half priced drinks and appetizers. Our favorite hangouts are all located at the Historic Old Seaport mainly due to the atmosphere they provide. They're all open air restaurants that are situated just a few feet away from the pier. There's a neat board walk that winds it's way around the seaport, connecting the different restaurants. All the restaurants at the seaport offer half price drinks and appetizers with the exception of the Conch Republic which only offers drink specials. The Schooner Wharf is located on the way to Turtle Kraals, it's an okay place to have a drink or two. If you're looking for food I would run past the Schooner Wharf as fast as you can, just in case you get a crazy idea. You've been warned. My wife ordered fish one night and she received a frozen breaded fish stick right out of a box. The fresh catch of the day was a square fish stick caught out of a freezer. If you're an oyster lover the best happy hour joint by far for oysters is The Half Shell Raw Bar which is located on the east side of the harbor, next to and just east of Turtle Kraals. Their Buffalo Shrimp is also the best you will find in Key West! Another happy hour stop you may want to consider is at the Bagatelle Restaurant located at 115 Duval St. We usually stop one time per trip just for their $5 lobster mac and cheese appetizer, which is fantastic. (normal price is $14) You will need to sit at the bar area on the first level to get the half priced deals. One other note if you're close to Commodore's at around 4:00 be sure to go next door to the A&B Lobster House to watch the daily feeding of the Tarpon. It's definitely a spectacle worth seeing one time. Our favorite place is the Commodore Waterfront Restaurant due to their large selection of seafood based appetizers and great atmosphere. The picture you see above is Commodores. Commodore's happy hour is from 4:00 until 6:30 A very close second is the A & B Lobster House which is located right next door. A & B also features half price drinks and a fantastic appetizer list which is also half off. Their happy hour runs from 4:00 until 6:00. The Conch Republic is located just on the other side of Commodores and is also one of our mainstays. They only offer half priced drinks during happy hour which is from 4:30 to 7:00. We usually stop for a drink after eating at one of the other restaurants. They have a very cool atmosphere. Great place to enjoy a after dinner drink. 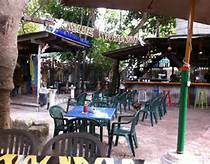 Another place worth mentioning is Turtle Kraals, which is located a short walk around the harbor. Turtle Kraals doesn't offer quite as many seafood type appetizers, just to give you a heads up. Their appetizer menu consists of more of what you would find back home. They feature a smoker and smoke their own meats, which is their claim to fame. It's a nice change of pace if you get tired of seafood. They also feature turtle races three nights per week, where you can win money or bar credit. We have one other restaurant we try to frequent at least once per trip, the Blue Heaven. The Blue Heaven is a cross between dining in a tropical jungle and someone's backyard. The place looks like it should be condemned, but that's all part of it's ambiance and allure. The food is also pretty darn good. Their menu is not the cheapest you will find, just to warn you. We usually stick to breakfast as our meal of choice for that reason. There's one other reason we usually choose breakfast, our kids love watching all the freeloaders, the free range chickens and roosters that you will see early in the day. 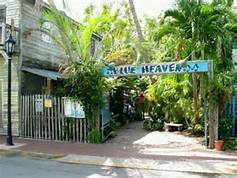 The Blue Heaven is known for having some of the best Key Lime pie on the island. Country star, Kenney Chesney, supposedly flew his mom down to Key West just so she could sample their Key Lime pie. Since I'm not a big Key Lime pie fan I can't vouch for that fact. We usually go for their breakfast, which they also renowned for. Fantastic Food Joints - Don't be fooled by the Cover! After many trips to Key West and with help from many locals, we've discovered some of the best places to eat on the island. These places I will mention all have a few things in common. They are reasonably priced, they look like dives and they all feature some of the best food you will find. Don't hesitate to eat at any of these places based on their looks. You won't be disappointed. They have two locations, 284 Margaret St. (by the Old Seaport) and by the intersection of Duval and Southard St.
5 Brother’s Grocery & Sandwich Shop - 5 Brothers is one of the favorite restaurants for the locals. They offer a large selection of sandwiches, breakfast and lunch specials, all reasonably priced. 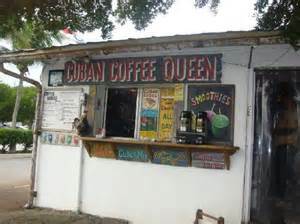 They were featured in the New York Times for their world class Cuban Coffee. Their food is also fantastic and very very reasonably priced! They have hands down the best Cuban Mix Sandwich in town! Be sure to stop at least once on your trip. There is no seating inside 5 Brothers so just snag one of the benches located on the sidewalk. You will see a steady stream of local Key West residents making their way to the store while you are there. They are located off the beaten path at 930 Southard St., on the corner of Southard & Grinnell. Bo's Fish Wagon - Bo's is located at the corner of Williams and Caroline St. They are not the cheapest place but it's still very reasonably priced. Bo's is an open air restaurant with a neat atmosphere and is one of the local favorites for great tasting food. Sandy's Cafe - Consists of nothing more than a takeout hole in the wall, there's actually a laundromat on the back side of the kitchen area. Don't be fooled by the appearance, Sandy's has some of the best food you will find in Key West. I've never ordered anything that wasn't less than excellent. Fish tacos are my favorite. Sandy's is located at 1026 White St. We usually take our order & eat at the condo since it’s on the way back from the downtown area. It’s also only about five or six blocks away from our condo. 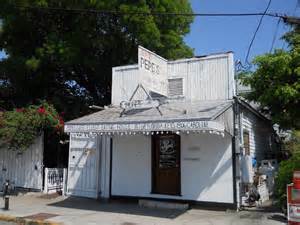 Pepes - Pepe's is also another great place for breakfast or a sandwich with a really cool atmosphere. Their food is first class and they have been in business since 1909 which should tell you all you need to know. Their dinner menu is a little pricy so you may want to stick to the breakfast or lunch menu if price is an issue. They are located at 806 Caroline St.
Bien Caribbean Latino Restaurant - Possibly the best there is for authentic Cuban cuisine. Their sandwiches are unbelievable. They also feature a very reasonably priced dinner menu by Key West standards. If you like Cuban sandwiches be sure to try the press, it's possibly the best sandwich I've ever tried! They are the number two rated Yelp restaurant in Key West. They are located at the intersection of Eaton and Grinnell Street. Garbo's - Garbo's consists of nothing more than a little food stand tucked in a back yard at 409 Caroline Street. They have just a few tables and chances are you will have to wait to be seated and wait in line to place your order. They have a very limited menu of tacos, burritos, hotdogs and burgers. Sounds like nothing special, but it is. Garbo's has been voted as having the best fish tacos on the island. You will also want to try the Bulgogi tacos, they are also really good. They are open from 11:00 am to 3:00 pm & from 5:00pm until 9:00 pm. They will often run out of fresh fish for their fish tacos so don't get there too late. One last tip or pointer you may want to consider is to spend one evening barbequing at one of our three barbeque areas that our resort offers. We are almost always the only one's down by the pool once it becomes dark. The tropical landscaping and atmosphere make this a really enjoyable evening.